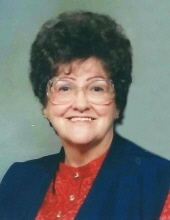 Judith Latoski, 79, of Mt. Pleasant went to be with the Lord on Monday, January 21, 2019. Judy’s funeral will be celebrated at 12 p.m. Thursday, January 24, at Charles R. Lux Family Funeral Home with Father Don Henkes officiating. Immediately following the service, a luncheon will be held in Lincoln Reception Center (attached to the funeral home). The family will receive friends from 11 a.m. until the service begins. Interment will be in Chippewa Township Cemetery following the luncheon. Memorial contributions may be made to the Cystic Fibrosis Foundation or Compassus Hospice. Envelopes are available at the funeral home. Judy was born April 25, 1939, in Shepherd, Michigan, daughter of the late Donald E. and Cora (French) Davis. She was raised by her paternal grandparents, Herman and Eva Davis. Judy married Theodore ‘Ted’ Latoski on December 31, 1956, at Sacred Heart Catholic Church in Mt. Pleasant. She retired from the Mt. Pleasant Center after 28 years. Judy always told everyone how God gave her many blessings. She enjoyed her family, all the gatherings, and vacations. Some of her favorite pastimes were reading, playing cards, talking on the telephone, and writing letters. She especially enjoyed the holidays and all the cards she would receive each year. When someone was ill she would cook and bring them meals. She prayed for a lot of people and attended church whenever she was able, having a very strong faith. Judy is survived by four children, Ted Latoski Jr. of Prudenville, Tamey (Marty) Travis of Mt. Pleasant, Tom Latoski of Shepherd and Toni (Rob) Smith of Mt. Pleasant; eight grandchildren; 10 great grandchildren; and three brothers and three sisters. She was preceded in death by her grandparents, Herman and Eva Davis; parents, Donald and Cora Davis; husband of 59 years, Ted Latoski; and six siblings including her twin sister, Julia Davis. To send flowers or a remembrance gift to the family of Judith B. Latoski, please visit our Tribute Store. "Email Address" would like to share the life celebration of Judith B. Latoski. Click on the "link" to go to share a favorite memory or leave a condolence message for the family.